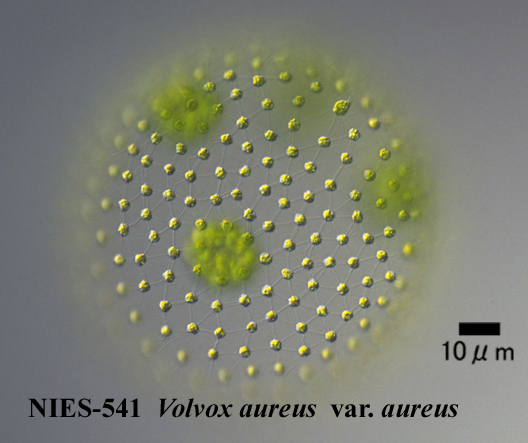 Nozaki, H.: 1994: Unequal flagellar formation in Volvox (Volvocaceae, Chlorophyta). : Phycologia, 33, 58-61. Nozaki, H., Ito, M.: 1994: Phylogenetic relationships within the colonial Volvocales (Chlorophyta) inferred from cladistic analysis based on morphological data. : J. Phycol., 30, 353-365. Sausen, N., Malavasi, V., Melkonian, M.: 2018: Molecular phylogeny, systematics and revision of the type species of Lobomonas, L. francei,(Volvocales, Chlorophyta) and closely related taxa. : J. Phycol., 54, 198-214.